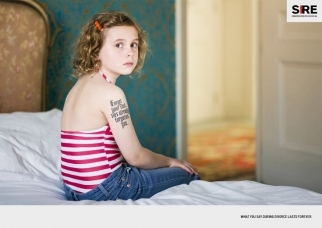 Independent Dutch organization SIRE (the Foundation for Idealism in Advertising), created this campaign to highlight the long-lasting effects that a bad divorce can leave on children. 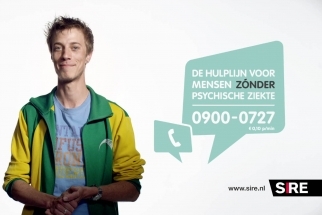 SIRE is a group of advertising and marketing industry leaders who donate their time to create awareness of social issues. 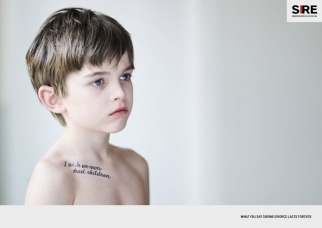 The TV, print and website portrays children marked by tattoos that repeat the words they overheard during their parents' conflicts.